Home - All Island Gastroenterology & Liver Associates, P.C. All Island Gastroenterology (AIG), founded in 1995, is a Long Island-based practice, specializing in the screening, prevention, diagnosis and treatment of all gastrointestinal, liver and nutritional disorders in a professional, private, and caring environment. Our doctors are Board Certified Internists and Gastroenterologists. Their experience and concern for each individual patient ensures that patients receive superior and surgical and non-surgical care. At AIG, our physicians develop individualized treatment plans based on patient interviews, history and thorough examination. We combine traditional treatments for a range of colorectal conditions with the latest technological advances to achieve optimal outcomes for each patient. Our offices are centrally located between the five South Shore Hospitals (Mercy Medical Center, South Nassau Community Hospital, Island Medical Center, Franklin Hospital and Long Beach Medical Center) and we accept most insurance plans. Our Rockville Centre office includes a state-of-the-art medical facility and our doctors are all skilled endoscopists, proficient in all areas of endoscopy, including colonoscopy with polypectomy, laser tumor ablation, therapeutic ERCP, infrared hemorrhoid treatment, esophageal dilation, upper endoscopy and sclerotherapy, etc. An added, and unique, diagnostic service we offer is capsule endoscopy, or pillcam, which provides your doctor with pictures of your small intestine. You are welcome to visit our offices where the staff will gladly answer any of your questions. It will be our pleasure to assist you in any way we can. Our doctors are also affiliated with the Meadowbrook Endoscopy Center, a new, modern, state-of-the-art facility, with a highly skilled staff, and the latest in diagnostic equipment. The Center welcomes all patients and is committed to providing the highest quality care. We respect the confidence you place in us and are dedicated to evaluating and treating your gastrointestinal disorders with sensitivity, privacy, compassion and professionalism. The Center is located at 865 Merrick Ave., Suite 150 North, Westbury, NY 11590. For directions to the Meadowbrook Endoscopy Center click on the "Directions to MEC" tab. DR. HAROLD LIPSKY, M.D., F.A.C.G. 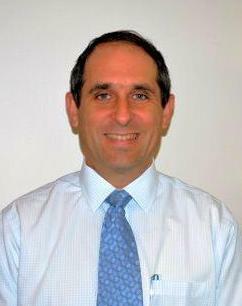 Dr. Lipsky holds the title of Fellow of The American College of Gastroenterology and has been a long-standing member of many other professional societies, including the American Society of Gastrointestinal Endoscopy, the American College of Physicians, the New York Society of Gastrointestinal Endoscopy, and the New York State Medical Society. He is a Staff Member at Mercy Medical Center and South Nassau Communities Hospital. Dr. Lipsky currently resides in Nassau County with his wife Sharon. His interests include tennis, basketball, golf, and skiing. DR. PRADEEP BANSAL, M.D., M.R.C.P. Dr. Bansal obtained Membership of the Royal College of Physicians in London and worked there for five years during which he developed an interest in gastroenterology. He then moved to New York and completed his residency in his specialty. 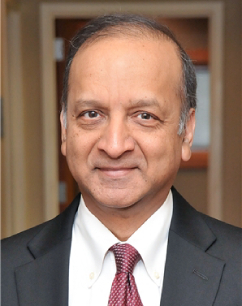 He completed a three-year fellowship in gastroenterology from the Medical College of Wisconsin in Milwaukee and then joined the faculty at Lincoln Medical Center in the Bronx where he also served as Chief, Division of Gastroenterology for two years. He is a Staff Member at Mercy Medical Center. Dr. Bansal currently resides in Nassau County with his wife Meera, a Pathologist. His interests include music, photography, computers and reading. sensitive and timely care in the field of gastroenterology. gastrointestinal medical services in our community. We will work with pride and unwavering integrity to help deliver safe and effective therapeutics to patients. with forethought, flexibility, customer-focused service and quality. We are committed to growing our practice through constant improvement of our operations and services to patients. environment that provides meaningful and challenging work and opportunity to acquire valuable skills. © 2018, All Island Gastroenterology & Liver Associates, P.C. All Rights Reserved.